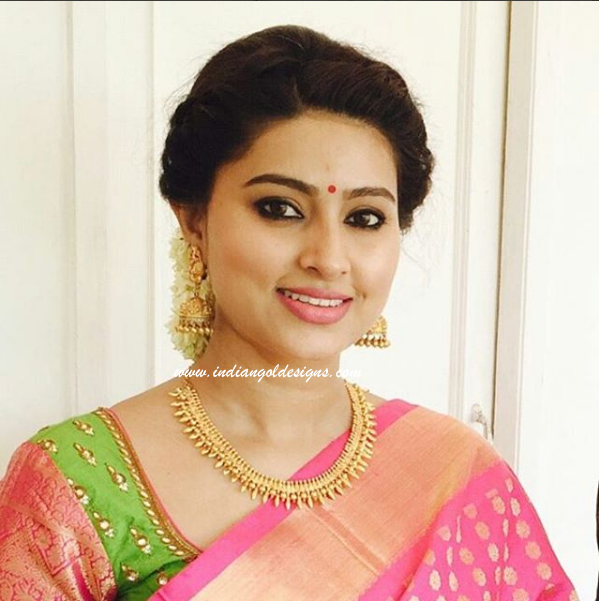 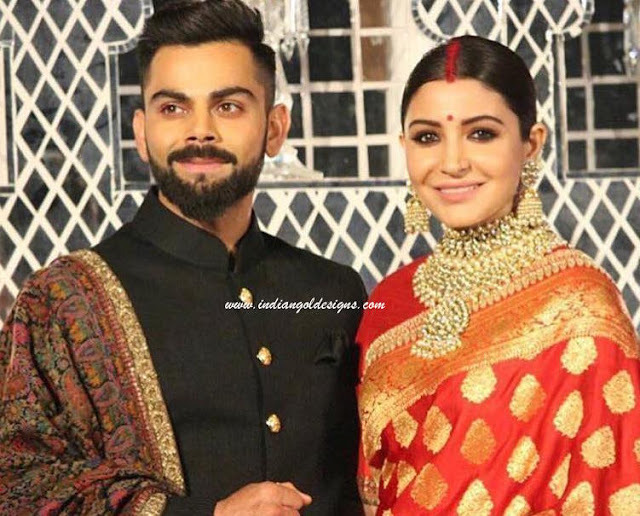 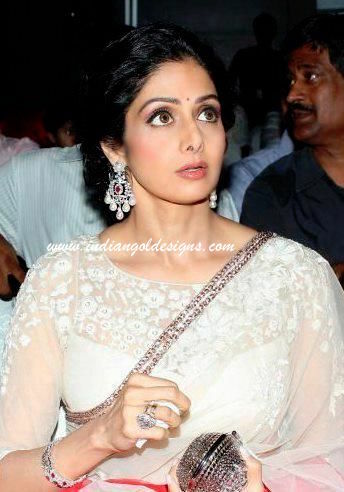 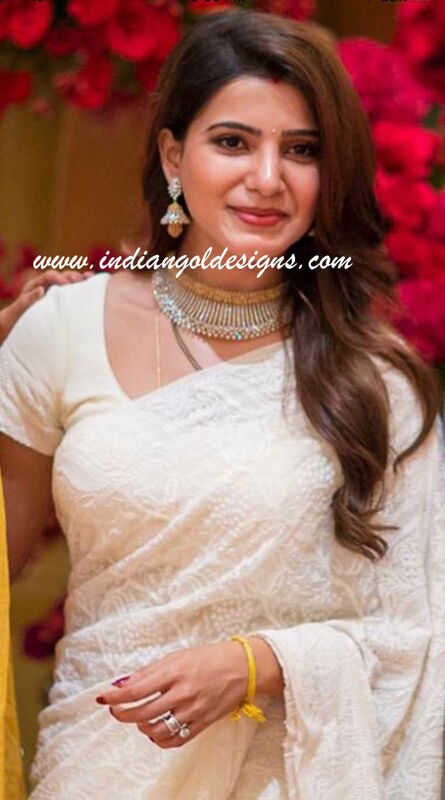 Checkout lakshmi manchi in 18k gold designer diamond jewellery. 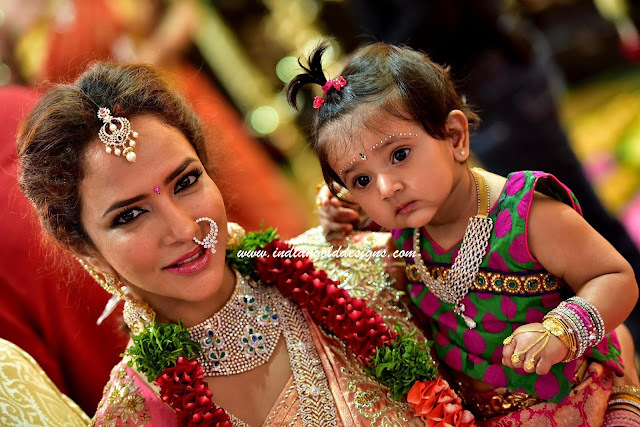 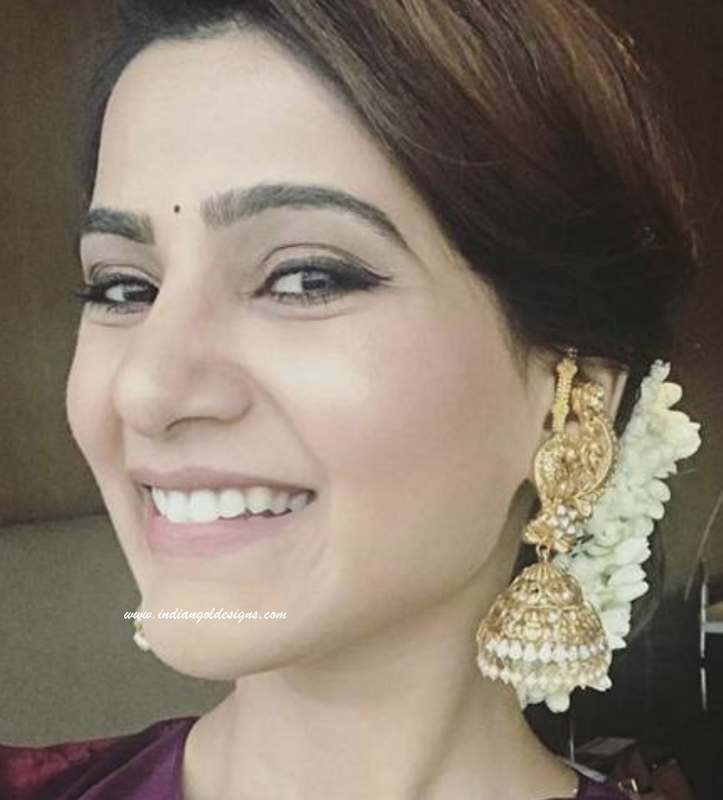 Lakshmi manchu in 18k gold diamond bridal necklace paired with matching long haar, nose rings and maang tika. 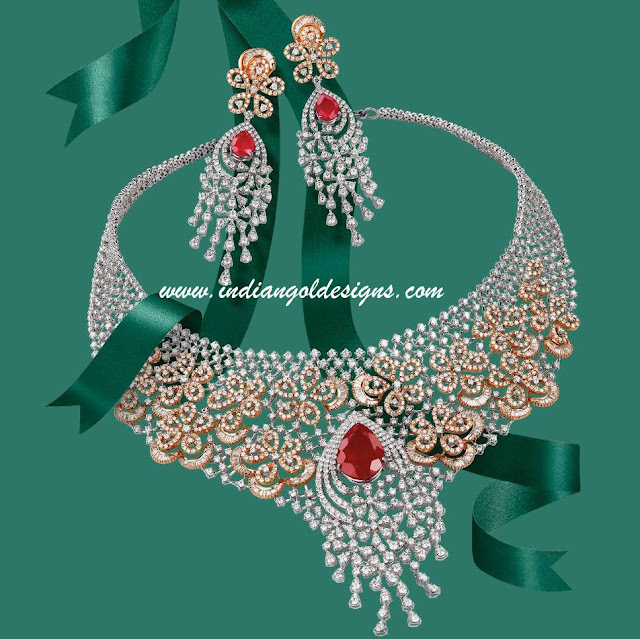 Baby wearing diamond necklace, diamond studs. 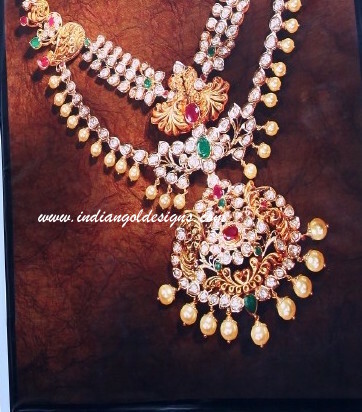 Checkout 22k gold long haar studded with gemstones(rubies and emeralds) and diamonds and with pearl drops. 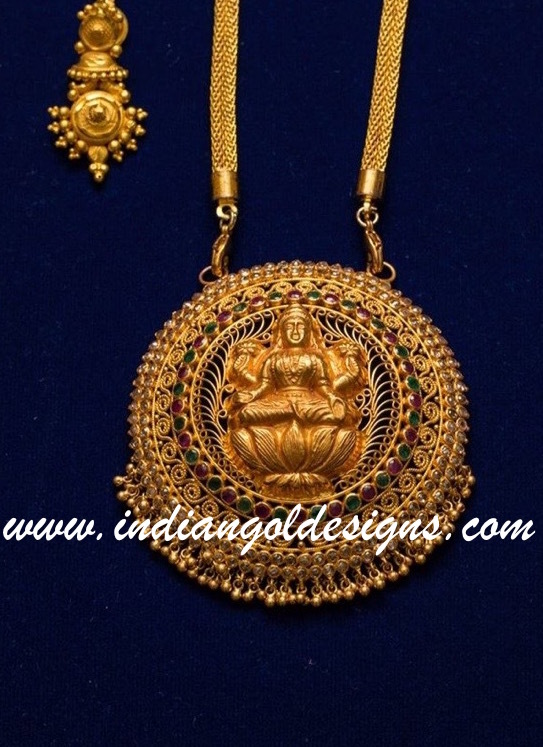 Gold layered long designer haar.